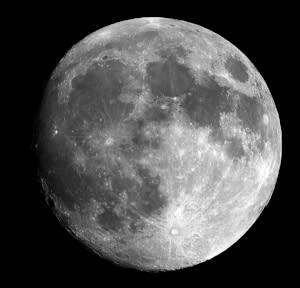 Cornwall, NY- On Friday, July 27 at 7:30pm, join the Hudson Highlands Nature Museum for a Full Moon Hike at the Museum’s Outdoor Discovery Center on Muser Drive, across from 174 Angola Road, Cornwall. Enjoy the moonlit fields and forests with a guided full moon trek on a hike like no other. The Museum’s expert staff will ensure safe night hiking habits are utilized by the group and guide you along the enchanting scenery of the fields in the evening. The lure of the gorge. Every year nearly 800,000 people from across the region, state, country, and world visit Letchworth State park to marvel at the “Grand Canyon of the East.” They may hike, camp, swim, or picnic, but eventually they make their way to one of the many overlooks, some towering more than 600 feet above the Genesee River. It’s beautiful to view the gorge walls and see the many layers of exposed geological features, and there at the bottom is the river making its way north toward Lake Ontario. 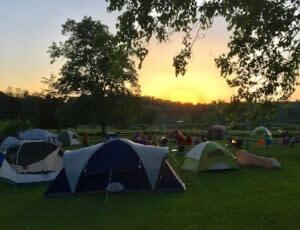 Cornwall, N.Y. – On Friday, June 8, at 6:00 pm through Saturday, June 9 at 8am, the Hudson Highlands Nature Museum will be hosting its popular, Family Camp Out at the Museum’s Outdoor Discovery Center, on Muser Drive, across from 174 Angola Road, Cornwall. Welcome the Summer season with a night under the stars! 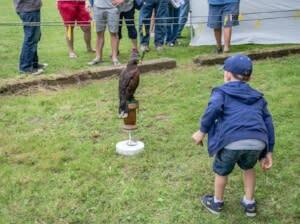 After dinner, bring your family, tent, and sleeping bags for an evening of nocturnal fun. Oswego, N.Y. – Interested in getting out on the water this summer, but not ready to buy a boat of your own? New York Sea Grant and the Boating Industries Association of Upstate New York offer safety tips and suggest the right questions to ask before renting a boat. You can begin your search for rental opportunities through the Boating Industries Association of Upstate New York: http://cnybia.com, Chambers of Commerce, and local tourism agencies. Get Ready for a Wild Summer! Panama, N.Y. – Roger Tory Peterson’s Wild America Nature Festival is returning to Panama Rocks for its second year on July 28 & 29 – the last weekend of July. Headlining the event are Roger Tory Peterson’s son, Lee Peterson, nationally best-selling author Jennifer Ackerman, and famous animal expert Jeff Musial (with his animals). Mumford, Mar. 20, 2018— Not everyone gets out of town for spring break. Parents looking to offer video-game-free fun this April now have new Spring Break Camp options. Building on the popularity of its summer camp programs, Genesee Country Village & Museum introduces a new Spring Break Camp, April 2-6, which includes busing from Rochester and is offered for children ages 6-9 and 10-15. At the museum’s 175-acre Genesee Country Nature Center, youngsters can enjoy hikes, games, crafts and plenty of time to explore the world around them. Calling All Night Owls to the Hudson Highlands Nature Museum! 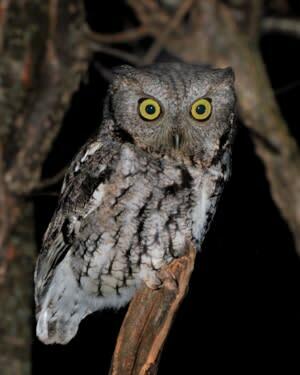 Cornwall, NY - The Hudson Highlands Nature Museum is excited to once again offer its popular Owl Prowl programs. 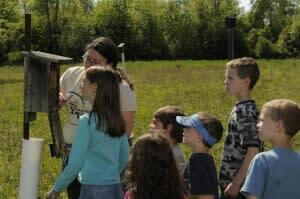 This year, choose from two sessions on Saturday, February 17 from 7 p.m. to 9 p.m. at the Wildlife Education Center, 25 Boulevard, Cornwall-on-Hudson, or on Sunday, February 18 from 7 p.m. to 9 p.m. at the Outdoor Discovery Center, on Muser drive, across from 174 Angola Rd, Cornwall. 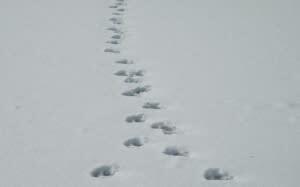 Cornwall, N.Y. – On Sunday, January 28 at 10 a.m., come to the Hudson Highlands Nature Museum’s Outdoor Discovery Center, on Muser Drive, across from 174 Angola Road, to search for Animal Tracks and Traces. Animals leave traces of their presence everywhere, but many people can&apos;t recognize the evidence. Search for clues that tell the tale of who lives in the forest and what they do during the winter. Governor Andrew M. Cuomo today announced new free sport fishing days in New York on Veterans Day, the weekend preceding Presidents Day, and National Hunting and Fishing Day, the fourth Saturday in September. 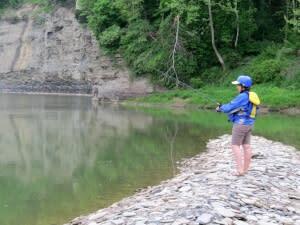 During these designated free fishing days, New York residents and non-residents are permitted to fish for free without a fishing license. Governor Cuomo also announced that sporting licenses and Deer Management Permits for the 2017-18 season will be available for purchase beginning Tuesday, August 1.